S7 Group, which consists of carriers Sibir and Globus operating under the S7 Airlines brand, achieved an 8.5 per cent year-on-year growth in passenger traffic in February, carrying 1.05 million passengers in the month. Even though domestic traffic (769,026 passengers) outperformed the group’s international total of 283,557, the growth rate in international was twice that of domestic, with 13.6 versus 6.7 per cent respectively. The group, a member of the Oneworld global airline alliance, enjoyed an RPK improvement of 11.9 per cent to 2,205 million in February. “The significant growth was driven by fleet expansion and an increased number of flights across S7 Airlines’ route network. 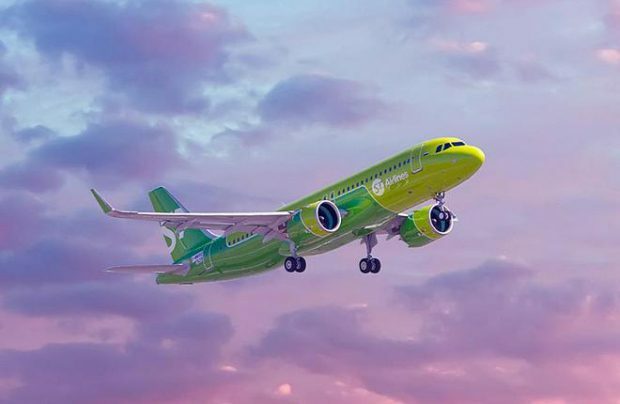 Compared to February of last year the fleet has increased by 14 aircraft and the number of flights by 8.8 per cent,” reveals Igor Veretennikov, S7 Airlines Group’s chief commercial officer. S7 Airlines is continuing to expand a route network that now stretches across Russia to the CIS, Europe, the Middle East, south-east Asia and the Asia Pacific regions. Among its newest destinations are Morocco, launched jointly with Royal Air Maroc, and flights to Astana and Batumi from Novosibirsk, which are to be introduced shortly. The airline is also resuming services between Moscow and Vienna. Its domestic network, which employs two base hubs at Moscow’s Domodedovo and Novosibirsk’s Tolmachevo airports, is one of the country’s most extensive. In 2018 the group served a total of 15.9 million passengers, ranking it as second largest in Russia behind national carrier Aeroflot.